Film feeders and film. When ultrasonically welding high-value parts, such as electronic components, or parts with painted or decorated surfaces, a buffer layer between the horn and the part can protect the part surface from microscopic irregularities which may affect the quality of the weld or scuff up the surface. A thin plastic polyethylene film which is fed by a roller film feeder attached to the base of the welder protects each part as it is welded. 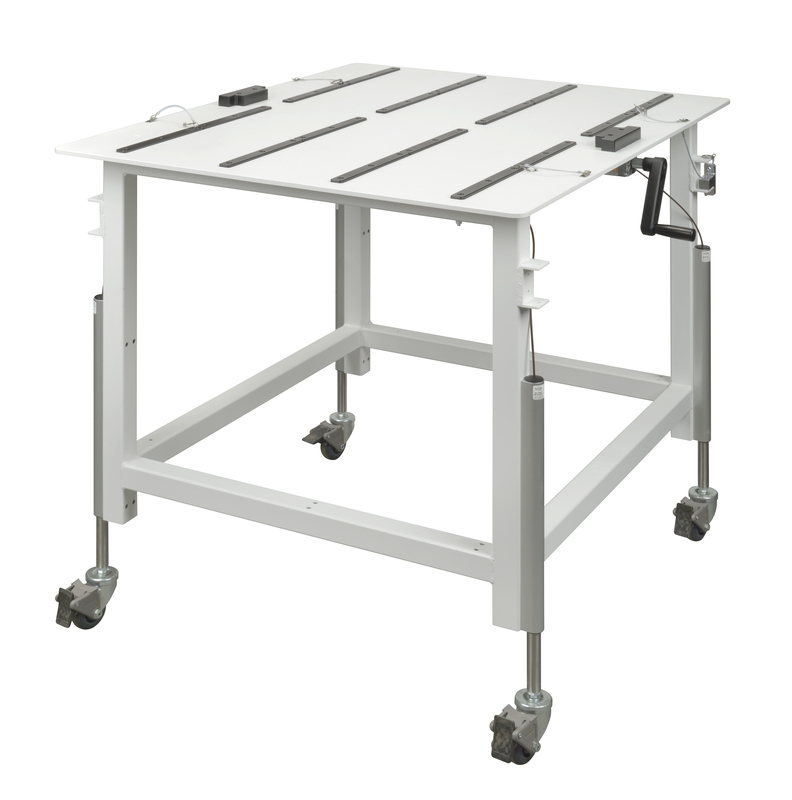 Slide tables in a variety of configurations for faster and safer loading and unloading of parts during plastic welding and assembly, customized to your application. Hydraulic dampers to damp vibrations and safely control the speed of doors, fixtures, tooling and other moving parts during assembly and welding. Leveling bases to maintain accuracy by holding fixtures and tooling in precision positions during welding processes. Sound enclosures to maintain safe and comfortable noise levels in the industrial workspace. Machine stands to firmly mount, secure, and support plastic welding equipment. Wheeled stands available for convenience and mobility. Converter vises to hold ultrasonic converters securely in place while assembling or disassembling ultrasonic stacks. Plastic assembly tools, such as torque wrenches, spanners, horn studs, step studs, and Mylar washers for precision assembly and easy disassembly of ultrasonic stacks. At PAS, we are committed to providing superior quality plastic assembly solutions, top notch service and technical support. Our complete line of optional accessories complements our range of plastic assembly machines. Our personal attention to detail on the plastic assembly equipment and accessories we provide and the individual needs of our customers is what sets us apart. Contact us for quotes on custom plastic assembly accessories today.